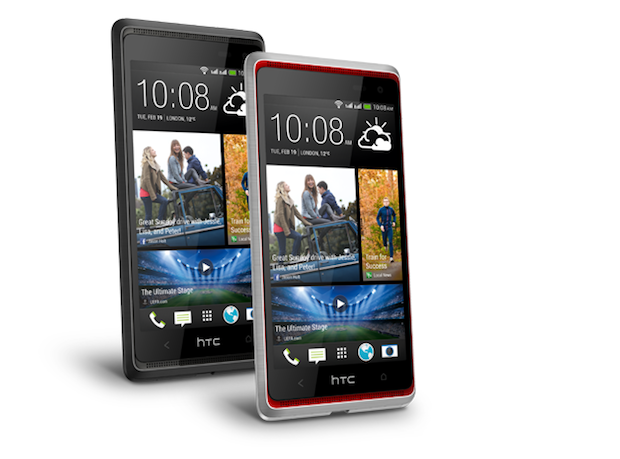 HTC today announced the latest addition to its Desire smartphone series, the HTC Desire 600. For those who have been following HTC’s series of smartphones bearing the Desire branding, you might recall that it’s been a long time since we’ve heard anything about this series. So, it was quite surprising that after all this time, HTC is still keeping the series and is just waiting for the right time to revive it. What a way to revive an almost forgotten product line but by way of the HTC Desire 600. This dual SIM smartphone is said to be the first mid-range handset to offer the latest HTC Sense 5 UI. It also comes packed with HTC BlinkFeed and HTC BoomSound. These two features were first introduced in the HTC One. HTC BlinkFeed transform the phone’s home screen with customisable stream of live information while HTC BoomSound features dual front-facing speakers with built-in amplifiers. Beats Audio integration completes this handset’s features to make it as a powerful mobile entertainment device. The HTC Desire 600 is scheduled for a June 2013 release with mobile operators and major retailers in various markets, including the U.S. Unfortunately, price of the handset is yet to be announced by HTC. But considering that this is a mid-range phone, expect the price to be much lower than most high-end smartphones available in the market today. If you’re not too keen on getting the HTC One, well the HTC Desire 600 seems a pretty good alternative. But of course this will still depend on which operators it will be released from when it becomes available in the U.S. market. So, will you be getting the HTC 600 Desire given all those features and specs that we’ve mentione? Share with us your thoughts via the comment.